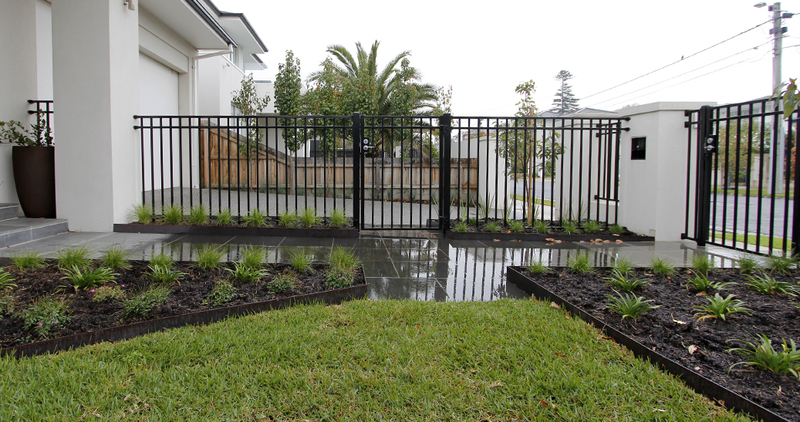 The clients wanted a garden that provided interest all year round, flowers, could accommodate Barney the dog and is relatively low maintenance. 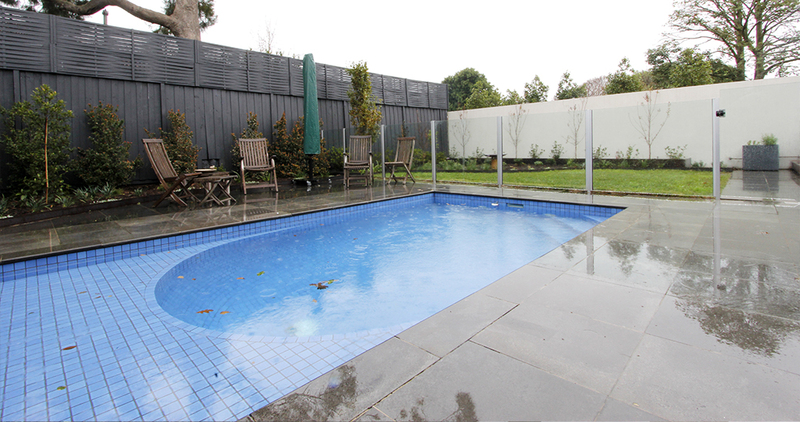 Bluestone paving replaced pebbled sections and the decking was extended to the wall to accommodate the BBQ. 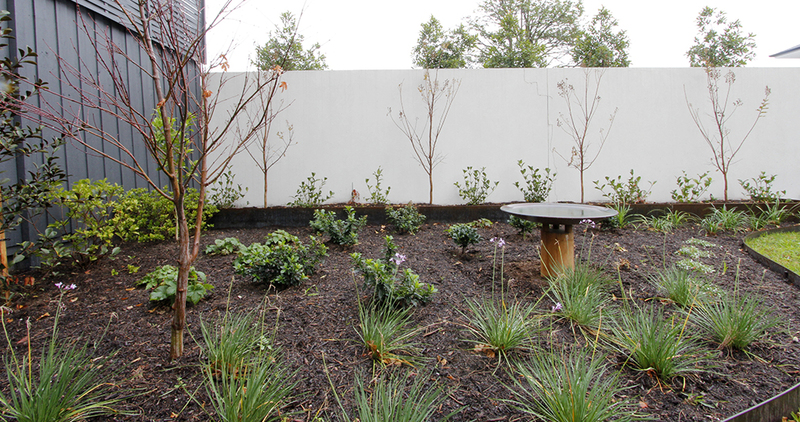 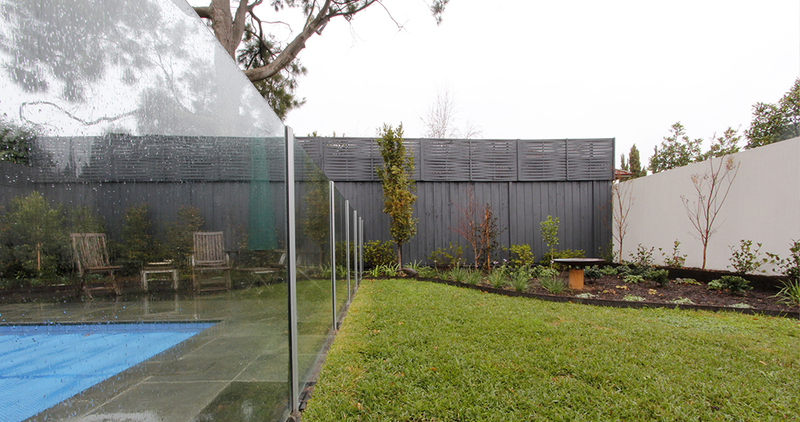 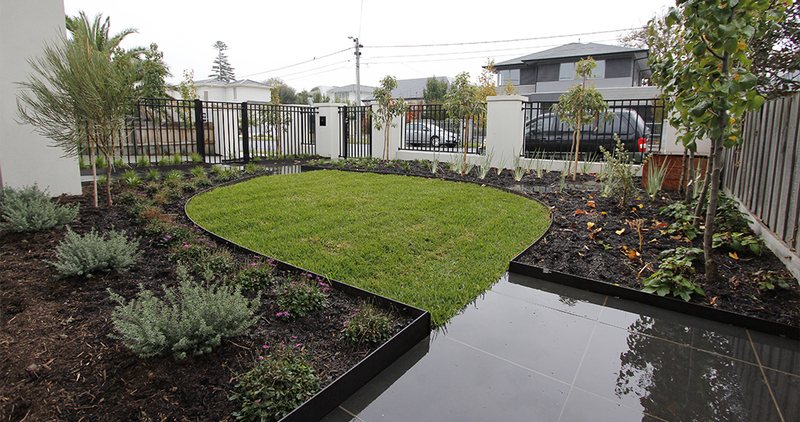 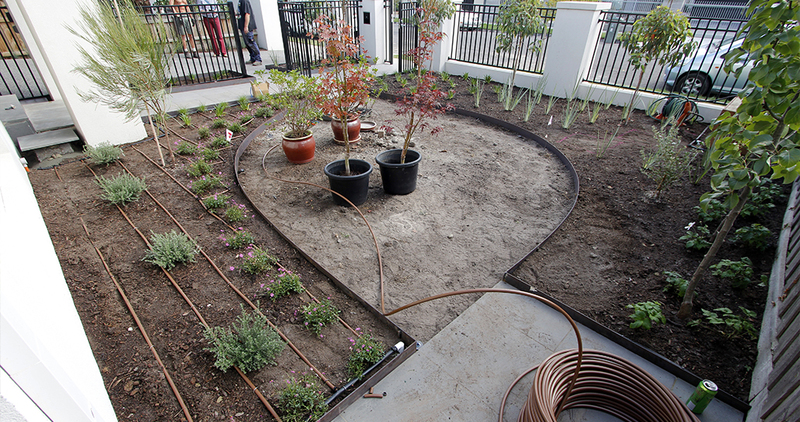 Corten steel was used as garden edge throughout the garden project. 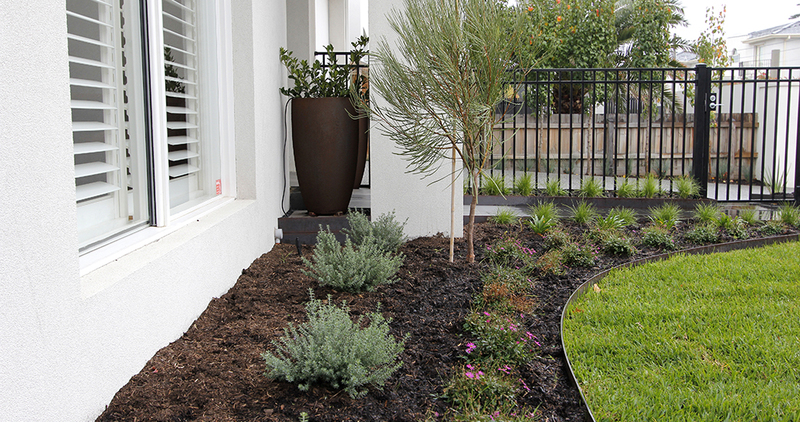 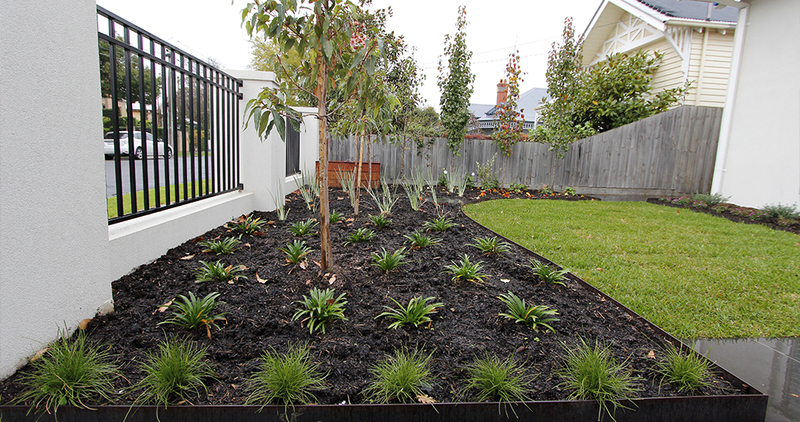 In the front facing north, Pink Fowering Gum Trees (Corymbia ficifolia) replaced the Maples (Acer palmartum), with Little Con Mat Rush (Lomandra confertifolia ‘Little Con’) providing a vibrant edge along the path. 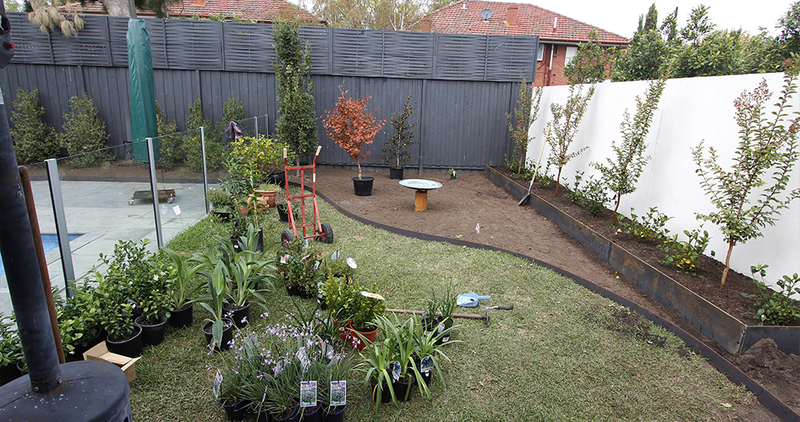 Gardenias (Gardenia jasminoides ‘Professor Pucci), Crepe Myrtles (Lagerstroemia indica x L.Fauriei) and Indian Hawthorn (Raphiolepsis indica) were used in the back along with Silver Dichondra (Dichaondra argentea ‘Silver Falls’), Lemon Bun Tea Tree (Leptospermum obovata ‘Lemon Bun’) and a Blueberry Ash (Elaeocarpus reticulatus).